Perhaps the single most important change that is taking place in health care in the United States is the effort to shift non-intensive patient care out of hospitals and back into their homes. 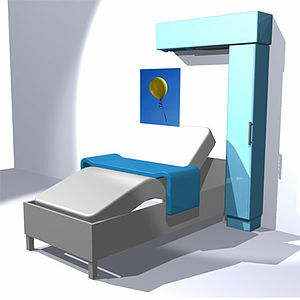 Convalescence and long-term care are no longer cost-effective in a hospital environment, the thinking goes; patients recover more quickly in familiar and comfortable surroundings; and, at the macro level, as the nation ages we are going to find ourselves with a shortage of hospital beds unless we either a) spend the national treasure on building more and bigger hospitals, or b) shift care outside of the hospital. America is not alone in this regard. Look at any society in the world that is aging, and you will find policymakers and medical professionals wrestling with the same issue, and the next major country to do so will be China. For that reason, Health Care Comes Home: The Human Factors is not only timely, it is also relevant far beyond the U.S. In the book, the authors begin by shooting a commonly-held misconception: the success of in-home care does not hinge on technology as much as it does on the caregivers who must use it. Preparing a new generation of caregivers as home caregivers is, therefore, essential, as is designing a new generation of machines. The success of home care means that the caregivers must be able to use the technology that will make the practice practicable, and the companies designing home-care equipment will have to take into account a series of factors vastly different from those they use to develop devices for hospital use. As an example of one device where this has already happened, look at the automated external defibrillator, or AED. Forty years ago, defibrillators were used outside of hospitals only by doctors, nurses, or paraprofessionals with six months training. Today, anybody with a modest IQ and a calm disposition can use an AED. That type of change now has to be extended to dozens of complex medical devices in order to make home care both feasible and effective. The better the designers get at their work, the more care that can be moved outside of the hospitals. This book is a fascinating look at the future of healthcare. All of us will be affected by its conclusions, so whether you are a medical professional, or if you pride yourself on being an informed consumer of medical services, this book is well worth reading. This entry was posted in Free PDF Book, Healthcare. Bookmark the permalink. ← After 9/11: Have We Come A Long Way, Baby?